Our Afternoon Tea occasions was recently launched in the Merrion Hotel by Jonathan Irwin (Founder of Jack & Jill) and Pauline McLynn (Mrs Doyle in Father Ted). 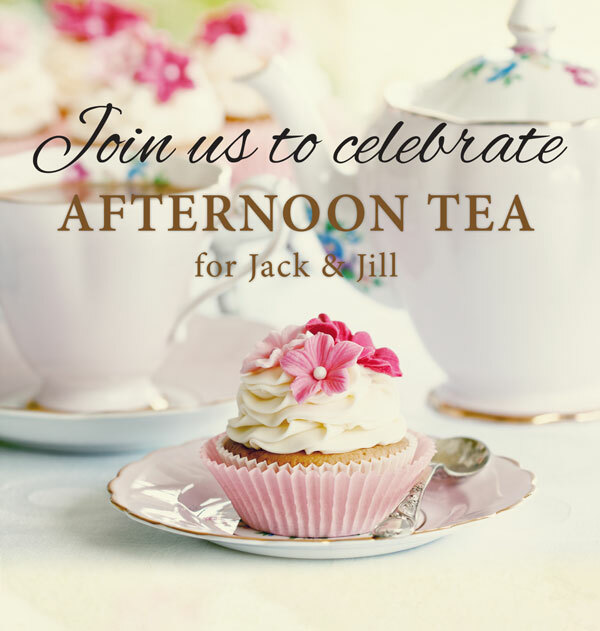 Jack & Jill are hosting 11 Afternoon Tea Parties in some of Irelands top hotels throughout the year – with Jonathan Irwin and Local Liaison nurses attending and using the opportunities to catch up over some tea with some of our wonderful supporters. As part of our Afternoon Tea campaign, we are calling on our supporters to host their own Afternoon Tea fundraiser in their homes, schools, workplaces or ask your local restaurant/hotel to help if you choose to make it more of a community event. 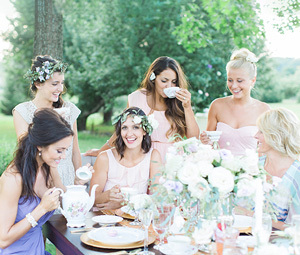 Afternoon tea is a luxury treat to indulge in so why not invite some friends and family around and put on a spread of sandwiches, cakes and pastries and have a good auld catch up and ‘cuppa tea’. Registrations must be made either online or by contacting the Jack & Jill office to register details on 045894538 or info@jackandjill.ie. 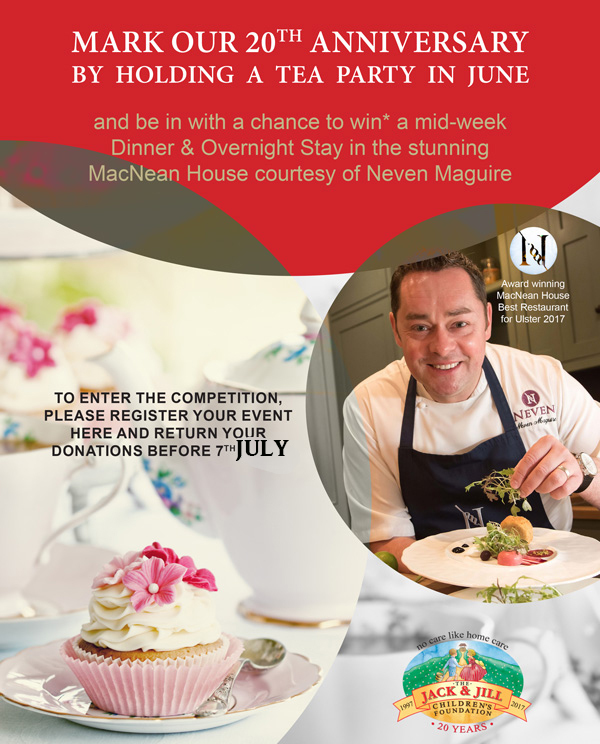 All donations of registered events MUST be returned before the 7th July to be entered into the competition. Draw will take place on Monday 10th July and winner will be notified by phone/email.